Whether leading an internal corporate investigation or defending a client in court, Mark Schnapp focuses on finding solutions in complex criminal matters. “I enjoy working on cases with a lot of moving parts.” says Schnapp, a shareholder in Greenberg Traurig’s Miami office and co-chair of the firm’s White Collar Criminal Practice. Through the years, Schnapp has helped clients navigate parallel civil and criminal investigations that involve federal agencies like the U.S. Department of Justice and Securities Exchange Commission (SEC). His practice also includes conducting fraud, tax, money laundering and other criminal investigations. 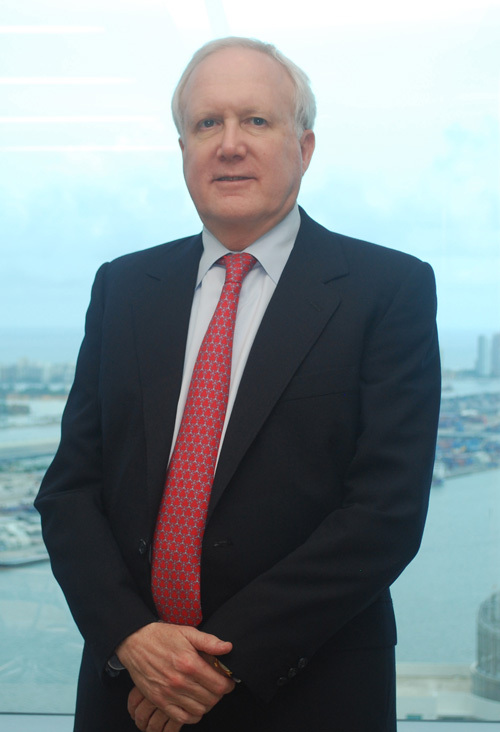 Schnapp has 30 years of litigation experience, including seven years at the U.S. Attorney’s Office for the Southern District of Florida, where he was Chief of the Criminal Division. He has also handled more than 70 jury and non-jury trials. Growing up in New York with twin brothers, Schnapp developed a strong work ethic at a young age, and became the first person in his family to go to college. “My father was a flight instructor in World War II era aircraft, and I became interested in aeronautics at an early age,” he says. Deciding to become an engineer, Schnapp served as president of the Undergraduate Engineering Council at New York University before earning a bachelor’s degree in electrical engineering in 1972. “At age 19, I became an advocate for the students at university faculty meetings,” he recalls. “That experience made me think about law as a more exciting choice of careers.” Deciding to switch gears, Schnapp enrolled at Hofstra University School of Law, earning his juris doctor in 1976. He began his career at Cravath, Swaine & Moore, a major New York corporate law firm, and then decided to become a prosecutor and joined the U.S. Attorney’s Office in Miami in 1982. While at the U.S. Attorney’s Office, Schnapp was part of the prosecution team for Operation Swordfish, in which more than 70 individuals were either indicted or convicted on money-laundering or drug trafficking charges. Schnapp’s work on the investigation of Panamanian leader Manuel Noriega earned him a Santeria curse discovered when the U.S. army captured the former general who was later convicted on drug trafficking, racketeering and money laundering charges. Since joining the firm, Schnapp has built a corporate client list that includes Lennar, PaineWebber, Smith Barney and Parsons Brinkerhoff, as well as prominent individuals. In the early 1990s, Schnapp was co-counsel with Roy Black in the defense of William Kennedy Smith in a highly publicized sexual battery trial that resulted in an acquittal. In his practice, Schnapp has defended a national engineering firm being investigated for alleged Clean Water Act violations, an investment banking firm under scrutiny for securitization of sub-prime loans, and a national distributor of diabetes supplies that was the subject of a Medicare fraud investigation.